Allow me to climb onto my virtual soapbox and make the following statement: I believe that all tourism conferences should have free wi-fi and livestreaming of the event. Traditional conferencing behind closed doors in which participants read at one another should no longer be permitted. We have options, beautiful, lovely sustainable options! 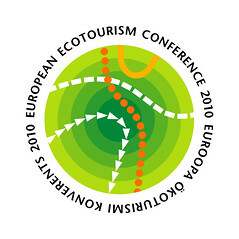 The September 2010 European Ecotourism Conference should be considered THE BENCHMARK for all tourism conferences. There were fine presentations, good networking and opportunities for dialogue. More than 200 people participated and everyone had something to contribute. The conference took place in lovely Pärnu, Estonia a lovely coastal city, but tours before and after the event showcased local actors elsewhere in the country. Yes there were a smattering of Powerpoints and for those who could not read the fine print, most of these documents are now archived online Slideshare! The big hit of the event was Open Space Technology making the event as much of a fun conference as it was an unconference. Kudos to organizer Aivar Ruukel and his partners and friends. This was a superb introduction to Estonia and a fantastic re-imagining of the challenges of ecotourism in Europe. I spoke the second morning of the event and for friends in the Americas, it probably was not the most convenient time to catch my talk – Upgrade Your World – around midnight, so I’m pleased to announce that Aivar has uploaded this and a dozen other presentations. My major thesis is that we need to find the strategies ASAP in which we can improve (aka ‘Upgrade’) our technical and sustainable practice skills. Storytelling Now! Having live streaming during the event and posting the videos afterward only builds a greater audience for the event and the topics addressed. For participants at the European Ecotourism Conference, the benefits of attending included face to face discussions which the Web simply cannot replace. I certainly enjoyed my chats with the heads of country and regional tourism boards as well as the grassroots operators from Estonia. There was also exceptional local food which again the Web cannot deliver! Now if we want to opt toward sustainable practice, such aspirations need to take place in our travel conferences. Come on folks, live streaming is a no brainer! We need to broaden and widen the circle. In the video of my presentation the room is set up for the Open Space event, itself a large circle. What I tried to imagine and I roamed the inside of the circle was to think of those who were watching in real-time and those (perhaps yourself) who watch at a more convenient hour. Click the play button below. This entry was posted in 2010, tourism, Videos, Web 2.0 in Action and tagged biodiversity, Buy In, Capacity Building, Collaboration, Dead Trees, Dialogue, Digital Native, Diversity, engagement, estonia, euroeco, europe, Eyjafjallajokull, Face to Face, flickr, Foamboard, indigenous, innovation, Local Travel Movement, Longtail, Market, Practical, Responsible Tourism, ronmader, slow, storytelling, upgrade, Virtual Volunteer, web2.0, wiki. Bookmark the permalink. Thanks Ron! I do strongly believe that both non-traditional approaches of having conference like WorldCafe, BarCamp, OpenSpace AND use of web-technologies like online streaming, twitter hashtag etc becoming a NORM soon.